Should I get a 14 days JR Pass for travel in Kanto and Kansai? Q: Should I get a 14 days JR pass for my travels through Kanto and Kansai Area? I am looking to hit the important places between Tokyo and Osaka. I would be flying in and out of Tokyo. In my experience, JR pass is rarely worth it unless you plan to travel to many places that are far from one another in a short time. 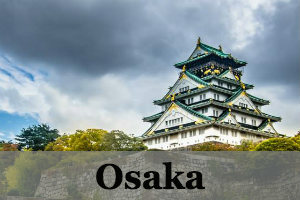 In the case of the classic 2 weeks itinerary in Japan, we are covering quite a number of places in just 14 days but they are not that far apart. Assuming that you plan to only use the train for all the travels, for its quickness, comfort and convenience, then let us take a look if it is worth to buy a 14 days JR Pass or to buy individual train travels as you go. I have always used Google maps to help me with my transport planning in Japan, it shows you everything from the time schedule, all the possible connections and their prices. I really recommend to use it for your transport planning in Japan. The cost of a 14 days JR Pass is 62,950 JPY (618 USD). Here we get a clear idea that we should not be getting a JR Pass for our 2 weeks classic itinerary. Also, a tip is, as mentioned in our one day trip to Himeji, you buy a Suica Pasmo Card or individual regional passes like Kansai Pass to help you to further save money. Is JR Pass worth it for 7 days (1 week) visit? Author MathiasPosted on September 20, 2016 December 30, 2018 Categories TransportLeave a comment on Should I get a 14 days JR Pass for travel in Kanto and Kansai?